Linda C. Roberts went home to heaven on Saturday morning January 19, 2019 after a long battle with multiple sclerosis. She was a resident of The Next Inning Assisted Living in Orfordville for many years. She was a courageous woman who gave so much love to her family and friends in spite of living in nearly constant pain. Linda loved animals, especially the cats who kept her company in her room. She was a classic car enthusiast, and enjoyed music, from the old hymns to Barbara Streisand, Elvis and 50's Rock'n Roll. Linda treasured visits with her family and loved to see her daughter and grandchildren most of all. 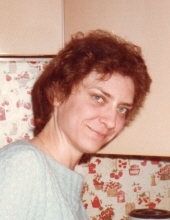 Linda is survived by her daughter, Jennie (Jon) Zuk, grandson Jaden and granddaughter Jodie, brothers Jeffrey (Iva) Peterson, Stephen Peterson, Daniel (Deborah) Peterson, sisters Susan Peterson, Laura (David) Quale, as well as many beloved nieces and nephews. Linda was preceded in death by her husband Gary Roberts, father, Edgar Peterson, step father, Victor Smid, mother, Helen Peterson Smid and her brother Theodore Vaughn. Funeral services will be held at 11:00am on Friday January 25, 2019 at Ward-Hurtley Funeral Home Evansville with reverend Glenda McCracken officiating. Burial will be held in Union Cemetery, Jefferson Wisconsin. A visitation will be held from 10:00am until the time of service on Friday at the funeral home. To plant a tree in memory of Linda Carol Roberts, please visit our Tribute Store. "Email Address" would like to share the life celebration of Linda Carol Roberts. Click on the "link" to go to share a favorite memory or leave a condolence message for the family.